Full of shinny colourful coats and fur. in nice warm homes with lots of care. On Thursday, 21st July, 2016 children of playgroup celebrated “Pet Day” as the theme of the month is ‘Pet animals and birds’.It was Party time, for the little ones of the Play Group Section at Witty World.... but it was with a difference!!! Children did the recap of all the Pet Animals and Birds and teacher encouraged them to choose their favorite stuffed toy animal and birds, for a pet party!! A fun short film “The secret life of pets” was shown by the teachers as a unique way to do recap all the animals, they had been introduced too. 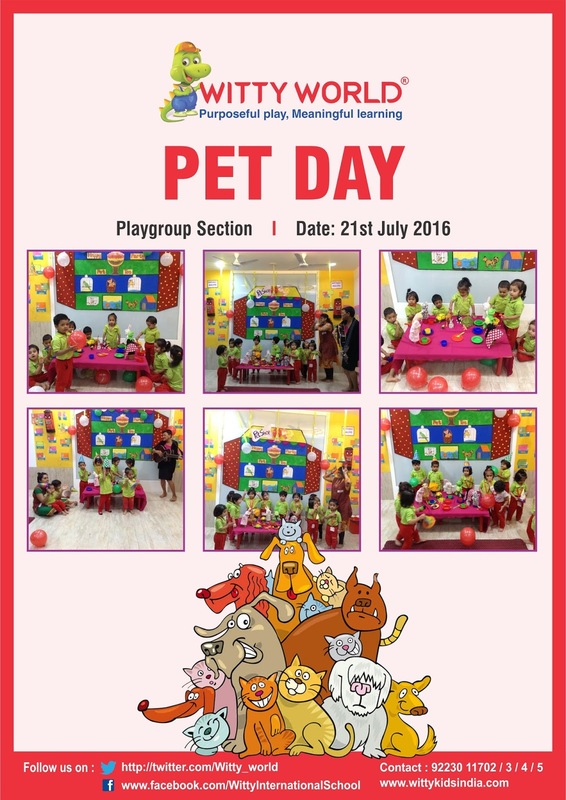 Children sang and danced to familiar rhymes with their pets. And had the BLAST at the party!!! !